Finally the recognition they deserve! Surprise the Beer Pong champ in your life with this fun pub sign. 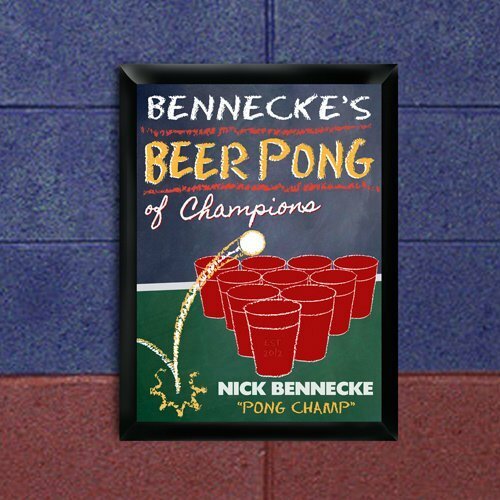 Perfect for the dorm, den, man cave or anywhere beer pong aficionados gather. Sign features a chalkboard and beer pong table design along with their name and open text (in quotes below their name). Sign measures 9" x 12".